And now the mobile phone post. This was inspired by Jason's post on his blog. I have owned these phones, in this order. This phone was quite big. Bigger than my Dad's old NEC P3, with a worse aerial, but not as big or bulky as the Nokia-Mobira Cityman Superline 1320 it replaced. Highlights included an aerial which you not only pull out, but also fold outwards to improve t he signal, a removable battery that lasted 12 hours and a spare battery so you could have 24 hours charge. I bought it in 1995 from Shasonic on Tottenham Court Road, on the one2one PersonalCall tariff. At the time it was £170 or so, and the tariff was £10 a month. You got free calls to landlines between 7pm and 7am, half-minute billing and voicemail. I bought the phone because one night I had a computing assignment to do, and I had to use a college computer, so I finished it that night and arrived home at 10pm instead of the usual 6.30pm. In that time, my Dad had called the police and attempted to report me as missing. One of the nice things about this phone was the special offer that came with it, allowing free international calls all day on Christmas Day (that year only). My parents made so many calls, the handset paid for itself. Later, one2one wrote to me and put me on a trial where the free calls were offered from 11pm to 7pm (i.e. 20 hours a day) for 6 months. This worked out pretty well too. 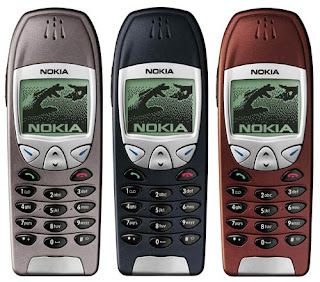 At the time I bought this phone, everyone thought I was an idiot for even having a phone, but during my ownership, mobile phones became something of a status symbol. 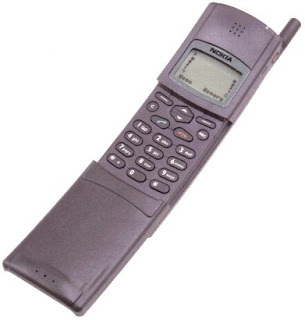 Back in the 90's, getting a phone on a fixed contract with an upgrade allowance was not possible. Pay-as-you-go phone tariffs hadn't been invented yet (although I had written an essay about the mobile phone industry for a business strategy course at university predicting them, as well as mobile internet). As much as I loved my m200 (I didn't), it was rather cumbersome, and I felt the need to splash out about £250 or so on a new Nokia 2146. This was the one2one version of the 2110, which was slightly less elegant but functionally identical. It was lighter than the m200 and had more contact memory or something, as well as feeling much higher quality. It still had an extending aerial but it was far more compact, which was a bonus. You still couldn't send or receive text messages though. It turns out that the m200 could receive them but not send them. Weirdness! The battery on this one was a bit better, lasting about 24 hours, and it came with a desktop stand rather than a plug in charger. This was the daddy of mobile phones at the time. The one2one version of the Nokia 8110. The long-awaited banana phone. 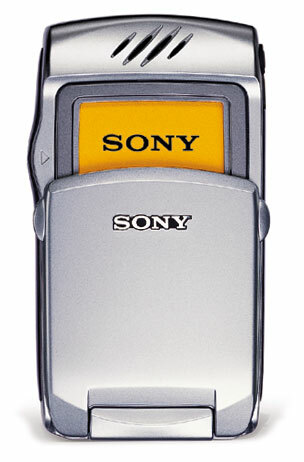 If you had one of these, you were the king of mobile phone users. It was expensive. Can't remember how much but probably about £300 or so. 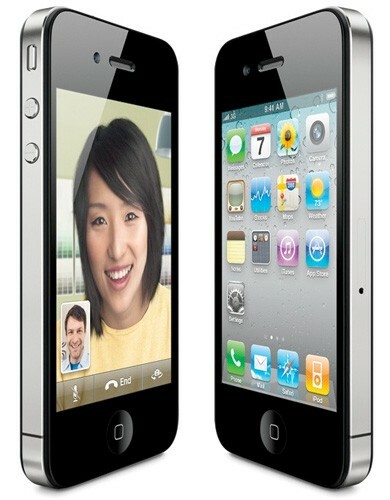 By this time phone upgrades had become available, so that brought the price down a bit. 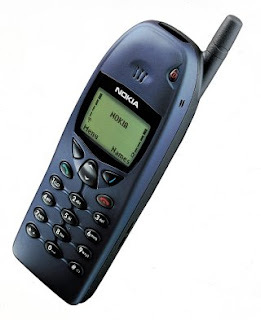 It had the ability to send and receive sms, EFR (enhanced frequency range), and a slidy cover for the keypad. It was lighter than the 2146 with even better battery life, now a couple of days. It was shaped with a curve, and the selling point was that it was the shape of your bum so fitted nicely in your back pocket. No really it was. And it did fit nicely. 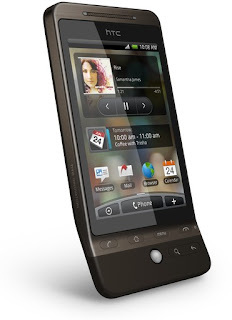 This phone was great. I had memorised all the important key sequences so I could send text messages blindfolded with it. Still one of the best phones I ever had in terms of how much I used it and how good it was at doing its job. The biggest bugbear was that the aerial kept breaking. I had to replace it several times, and replacement aerials were not cheap. There wasn't a lot wrong with this phone, but the Matrix came out and things changed, because in the Matrix, the banana phone had a quick release for the slidy thing, and I had to have the quick release. This phone was cheap and aimed at the mass market, but it had the advantage of being bought for me by the company I was working for at the time, so I could be on-call for the millennium, in case we were attacked by some kind of bug. The bug attack never materialised, but I got to keep the phone and the phone line, which was neat. I was now on Vodafone, which was horrendously expensive. Not that I cared, since the company was picking up the bill anyway. Happy days, except that the thing didn't really fit in my pocket. 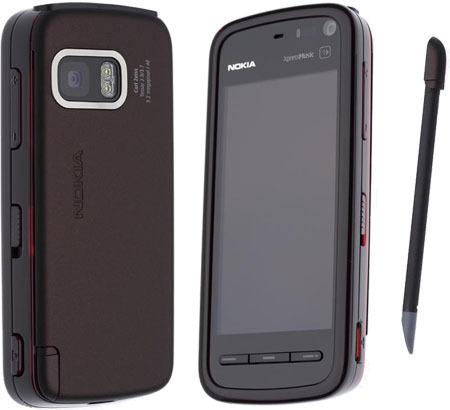 Is that a Nokia 6110 in your pocket, or are you pleased to see me? This phone sucked. It cost something ridiculous like £400 and that was the price in Dubai. It was even more in the UK! 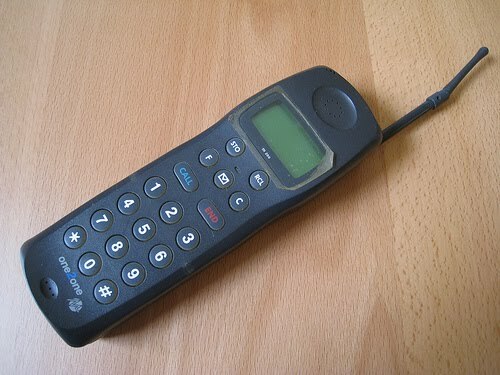 It was the first ever WAP phone. WAP was touted as the next big thing, but it was rubbish. There were no WAP sites and the pricing for using it was horrendous. It was basically out of the reach of ordinary folk, so while a lot of us had WAP phones, none of us used it. Sure it had the quick release slidy thing, but it was ugly. I don't think I've seen an uglier phone. Not even the Nokia N-Gage was as ugly as this phone. And it still had a sticky-out aerial. Something other manufacturers had begun to eliminate. Whats more, it had a habit of randomly turning itself off. This could be during calls, while charging, whenever. It would also randomly go into silent mode. It did have snake though, which was good for passing time at the airport. Pretty useless overall, and it had to go. Luckily for me a change of job coincided with a new work phone. 6. Nokia 6310i This was the new work phone that coincided with my chang e of job. It also meant a change of network, from Vodafone to Orange. It wasn't a bad phone really. They'd learnt from mistakes made with the 7110 and this was much better at doing what it was supposed to do - making and receiving calls reliably. It too had a WAP browser, but it was equally knobbled by data plans. Many many accessories were released for this phone, and it became something of an industry standard for things like car kits. You had to have this phone just to get any accessories to fit. Sadly in my case it came to an unfortunate demise when I dropped it on a hard floor and the screen cracked. By now I'd also left the company who supplied me with the phone, so I had to go it alone and buy my own handset. I was buying a flat and funds were tight. Cheap phones on contract and pay-as-you-go had now been invented, and with them, phones that were tied to a particular network. This meant the cheapest and easiest option for me was to get a pay-as-you-go phone on the Orange network. I was insistent on buying another Nokia phone as at the time most other phones were nowhere near as good. 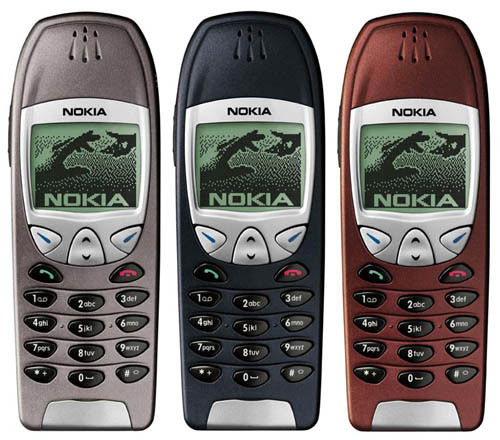 This time the call to arms was answered by the Nokia 3310 - the first phone with Xpress-On covers, meaning you could easily change the way it looked by replacing the soft shell. It was a fantastic little phone, far more responsive than the 6310i I had before, and I never used any of the fancy WAP stuff anyway. It did exactly what it said on the tin for the tidy sum of about £70, and the shell case made it surprisingly resistant to breakage if dropped. Its one achilles heel was that by now mobile phone battery life had become somewhat taken for granted, and phones were expected to last for days on end. Unfortunately this one didn't, and after a long weekend in Paris with several Eurostar delays and a little brother who's description of what he could see when he got lost trying to get to Waterloo station was "a house" caused me to throw my phone to the ground in a fit of rage. The shell casing was no match for my awesome power, and it was Mital 1-0 Nokia. Until the next day when I had to buy another phone to replace it. Another pay-as-you-go special. This phone was my first foray into the world of the smart phone. Boasting such innovative features as pocket Internet Explorer, it was full of potential. 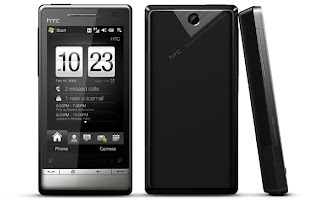 It had a nice easy to use interface with a click-wheel for navigation, good battery life and a large screen. 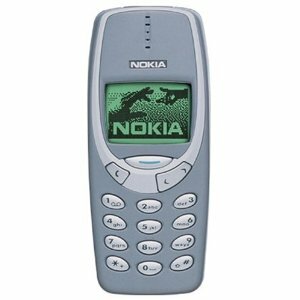 The first non-Nokia phone I'd owned for a long time was great in almost every way. Almost. It couldn't vibrate and ring at the same time. You could either vibrate, or ring. Not both. I needed it to do both as I'd started doing a lot of outdoor sports by this time, so I had to take the phone back to the shop. This phone was great. I got it through the company I was working for at a discounted price, with a discounted tariff. It was small, had a decent battery life, had all the same features of the original SPV and far fewer bugs due to the increased processor speed. It also had a camera, albeit not a very good one, and was my first camera phone. I was very pleased with this phone, and so were many other people. 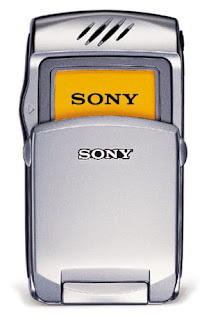 People who I wouldn't normally have pegged as smartphone users were using this phone, and what's more, they weren't complaining about how bad it was. It was a bit of a sales success, feature rich and priced well. I'd started using this one for the calendar, as it was handy being reminded of where I needed to be and when. Except when in another time zone. You see, the original Windows smartphone wasn't smart enough to adjust your calendar appointments when you went to another time zone, and when I missed a train from Paris to Lyon because my phone failed to remind me in time, I knew it was the beginning of the end. I'd seen other Windows PDA users whose PDAs did adjust the time of appointments according to the time zone, so now I was just waiting for a PDA phone that would fit in my pocket. It felt like I waited a long time for this phone, but it was probably only 6 months or so. It was supposed to address all the problems I had with the c500. Longer battery life, faster processor, more memory, better camera, the full PDA version of Windows Mobile. It did address a lot of the issues, and I was quite pleased with it overall, however it crashed a lot more than the smartphone edition, and I had the false belief that this was a result of the applications I was running and still needing more CPU and RAM. It was Windows, after all. I'd also decided I wanted to buy a GPS device, so now I was waiting for a device that could do everything! The XDA Orbit coincided with my migration to O2. I had left the company I was working for who had supplied me with the discounted Orange tariff and O2 seemed to be offering the best deal, including an included data bundle. This p hone had (guess what), more CPU, more RAM and a better camera than the previous one. It also had something else of note. A GPS chip. Yes, a GPS receiver, in a phone. It came with Co-Pilot live, and meant that for the first time I could use my phone to navigate my way around foreign lands. This was amazing. Co-Pilot was soon replaced by TomTom Navigator, and it further added to my phone requirements. I was also synchronising email over the air, and any new phone I got after this one would have to have GPS as well as hotmail integration. It was a great little phone and I'd managed to overclock it so it ran reasonably well, but it was still being pushed and overclocking it had a terrible effect on battery life, as did using the GPS. I kept this phone for a couple of years as it served my needs well, but as before, I wanted more... Apple had released the iPhone by now, but it didn't have GPS yet, or a 3G connection. It was also very expensive so it was out of the question as a replacement. This phone looked ideal. Twice as powerful as my XDA, and much smaller, yet with a higher screen resolution. It looked perfect, and almost was. The p hone was very neat and also came with lots of quality accessories, being marketed at the high end of the phone market. This did not come cheap, and cost in the region of £450. Unfortunately the battery didn't last very well, and increased capacity batteries had the effect of making the phone look incredibly ugly (which simply would not do) as well as hampering the effectiveness of the camera. It boasted a 3g data connection meaning it could access the internet at much higher speed. Buying the phone offline meant I could lower my monthly costs and at the same time add an unlimited data bundle. The newer version of Windows Mobile could now support push email on hotmail, so I was rather well connected from this point onwards. 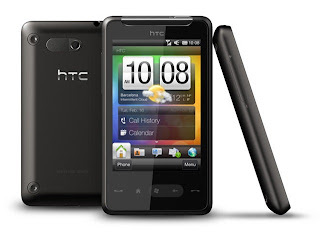 Nokia may have been connecting people, but HTC were connecting networks. I started to outgrow the Touch Diamond when the custom ROMs I was loading onto it used too much RAM. Unfortunately storage space on this device was not expandable so there was no way to install applications to a different location, which was a shame as the phone served me quite well. Unfortunately my extensive usage of the phone's features and the way I used them had now entrenched me deeply in my operating system choice. At the time, there was no escape from Windows Mobile. The newer iPhone, while supporting Exchange Mail, still couldn't get push Hotmail. A hand-me-up from my little brother after he upgraded his phone to a T-Mobile G2 Touch, this phone boasted considerably better processing power and RAM than the Touch Diamond. 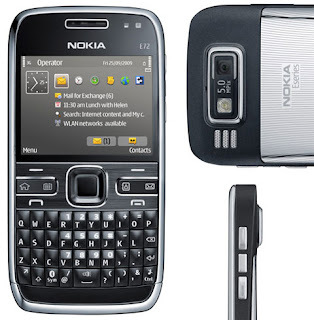 The bigger size meant it was easier to use without a stylus as well, and advances in Windows Mobile development optimised it for fingers, including an excellent keyboard that could predict what I wanted to type seemingly before I had even thought of what I wanted to say. If only it actually appeared on screen 100% of the time. The best thing about this phone was that it was free! I was quite happy with everything about the phone other than the size, and it was the size which led to its demise. Following a skating fall, I managed to crack the screen, and rather than repairing the phone, I thought I may as well buy a second hand phone on ebay to replace it, eliminating the size issue. I believed the hype and thought the first ever touchscreen Nokia phone might make a suitable solution to my Windows Mobile addiction. Unfortunately a horrendous interface coupled with poor support for features I often use meant this was the shortest-owned mobile phone I ever had. I sent it back for a refund after 2 days after finding it was unable to sync contacts with Outlook, either while connected or over the air. This was pretty useless as the box said it supported it, but what it meant was it supported importing an exported file via the poor Nokia sync software that came with it. Rubbish. 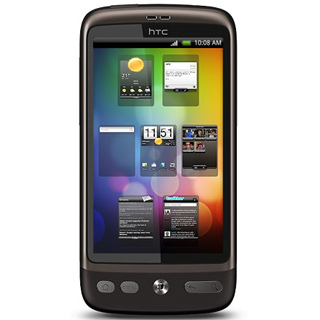 This was what I chose to replace the Touch HD. Initially I had dismissed it as it was bigger than the original Touch Diamond, however this phone boasted the same spec as the Touch HD with a smaller footprint. It had everything, and did it reasonably well. 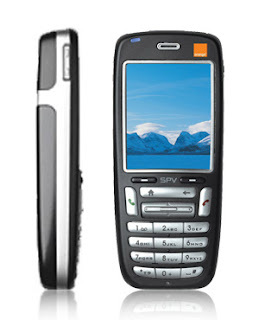 GPS, push email (for Exchange and Hotmail), decent web browsing, and I was running the latest version of SPB mobile shell which gave me detailed weather, unread message count, calendar ev ents and access to shortcuts all on one screen. I had automatic profiles configured to set the phone to silent for meetings or loud for skating. Facebook was happily synchronising profile pictures with my contacts, and everything just worked. Except the Operating System. In my many years of using Windows Mobile, I had gotten used to the crashes and random reboots and worked around a lot of them. It was like a marriage where you learn what things to avoid and only focus on what's good. Annoying issues had started to appear, such as not connecting to all Wifi networks, and bluetooth being buggy. I knew that the marriage would eventually come to an end. Microsoft had announced that they were no longer developing the Windows Mobile 6.5 platform, and instead it would be replaced with Windows Mobile 7, written from the ground up. 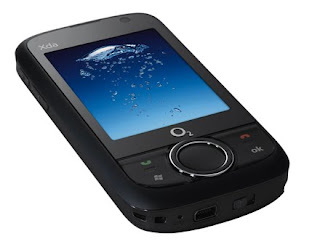 I'd read rumours of basic functionality such as copy and paste not being available, and worried that they would screw it up the way they had screwed up so many other recent products, I began my search for an alternative phone that would satisfy my needs. By now Hotmail had upgraded their servers to support Exchange ActiveSync, so there were now a variety of phones that would work with it. Android had been released and was starting to mature, and looked to be the best alternative at the time, due to iPhone's lack of home screen widgets. Knowing that the iPhone was still not suitable, this was my first attempt at replacing Windows. It failed. I found the keyboard infuriating to use, and could not get the apps I wanted for it. I could see how this phone satisfied most people, but lots of aspects of it weren't well suited to my particular requirements. I was at first impressed by the keyboard, for example, but on using it I found it woefully inadequate. I was also impressed with the way the phone functions were grouped together. Someone other than a linux nerd had been thinking about this, and the phone was actually quite usable. I soon dumped it though, and went back to the Touch Diamond2, as it just didn't have everything I needed and I wasn't yet prepared to pay for applications on it as I was with the Windows platform. A phone provided by my work, I knew exactly what I was getting with this. The same hardware spec as my personal Touch Diamond2 but with a lower resolution screen. It stayed in a drawer, on permanent divert to my personal phone, seeing as the phone I had was already better, and had a removable stylus just in case (the HD Mini did without one altogether). 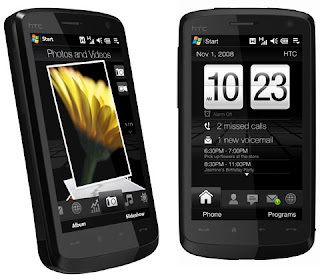 This was lucky because feedback from users was that it was impossible to use, and it turns out the version of HTC Sense running on it was very buggy, so the phone often didn't respond to any screen input at all. 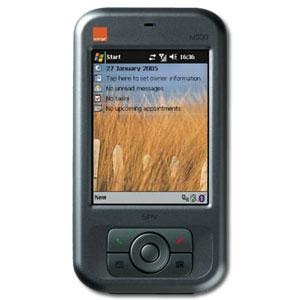 Work were looking to replace the multitude of Windows Mobile handsets across the company, and this was one of the phones we got in for testing. I'd looked down on Nokia phon es as sub-par for several years now, as they seemed to have lost the plot when the smartphone revolution happened. This phone felt great. It was very well made and had a fantastic keyboard, and on paper supported all of my basic requirements. It had Exchange mail for work and a Hotmail client for home. Unfortunately the Hotmail client was a badly fudged together abomination that required me to disclose my password to Nokia who would then poll the server for new mail every 15 minutes and push it to my phone. This simply would not do. 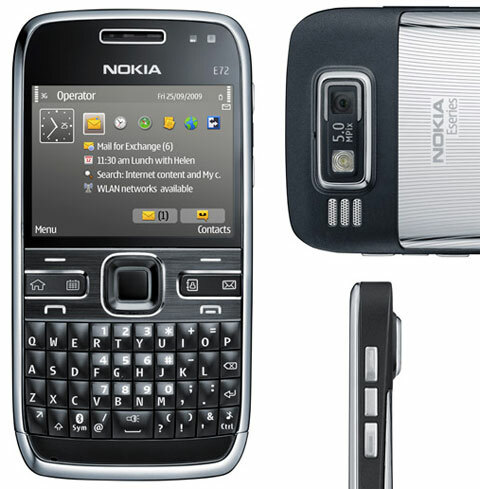 The Nokia Navigation application was also inadequate, and the whole phone felt like little or no attention had been paid to the user experience. 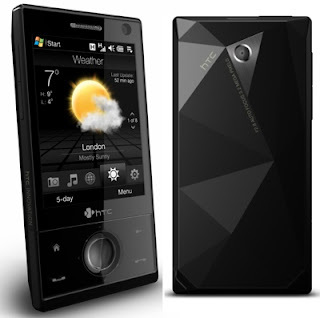 What promised to be a great little phone turned out to be a complete waste of time and effort. Lovely keyboard though. Work eventually settled for the HTC desire as the standard company phone. I'd already decided from the T-Mobile G2 Touch th at Android wasn't the platform for me, and the Desire sat on my desk, unloved (undesired), on divert. Android has a lot of potential and I do believe it will be my future platform of choice, but at the moment it feels pretty useless. It's reliant on widgets written by manufacturers of the phone hardware to make it usable, and without them you may as well have a bash prompt as the out-of-box Google applications don't work as well. It's also low on applications at the moment, and those that are there are either not very good (and full of banner adverts), or written in Chinese. In a year or two, I shall revisit Android to see how it's progressed. * So what did I eventually replace my Windows phone with? Yes. I gave in to the dark side. What can I say? I'm pleasantly surprised by the overall user experience, though it takes a bit of getting used to. I really miss my at-a-glance display and not being able to see upcoming appointments probably means I'll be late for all my meetings as I won't be sufficiently prepared for them. And the keyboard is incre dibly frustrating for me. Often I find myself tapping on return instead of space bar or shift, and then having to go back and make corrections. Having had the great HTC Touch keyboard on Windows Mobile and the slightly improved Android keyboard on the HTC Desire, the iPhone one seems primitive. For example I have to press a 'numbers' button to get the number keys. Annoying if your password has numbers in it, which most web sites now stipulate as a minimum requirement. I also don't have my automatic profiles; instead I have a hardware switch to put the phone on silent mode, so my phone is never put onto silent mode. And everyone is telling me I have to install iTunes, which I particularly dislike. But overall I am very pleased with the phone. The bluetooth works properly. The battery has a decent life, even with wifi and bluetooth enabled. For the most part the phone works with me rather than against me, and it's clear that the thought apple put into the interface was worth it. There are also lots of useful applications. Yesterday I loaded the ebay and amazon apps and ordered a Nintendo DSi for my cousin. The facebook application works well and they integrate nicely with eachother. The iPhone4 has made my life easier. And I used to find every excuse under the sun not to convert (most of which were valid, in my defence). Is it worth £600? Definitely not when you consider the phone it replaced cost me £130 on ebay, but I wouldn't switch back now as I'm sure I'd find the Windows phone too unresponsive and buggy. So there you have it. I shall live my life in ignorant bliss henceforth, for I now have an iPhone, and like everyone else who has one, am an iDiot. I think it's quite amusing that 2 days after I moved on from my mostly Nokia and Microsoft mobile phone history, Nokia and Microsoft announce a tie-up for their future phone platforms! awesome posting. brings back the good ol times. can't believe time flies that fast. txs for sharing!